Bring Mighty Car Mods to Gatebil Norway! 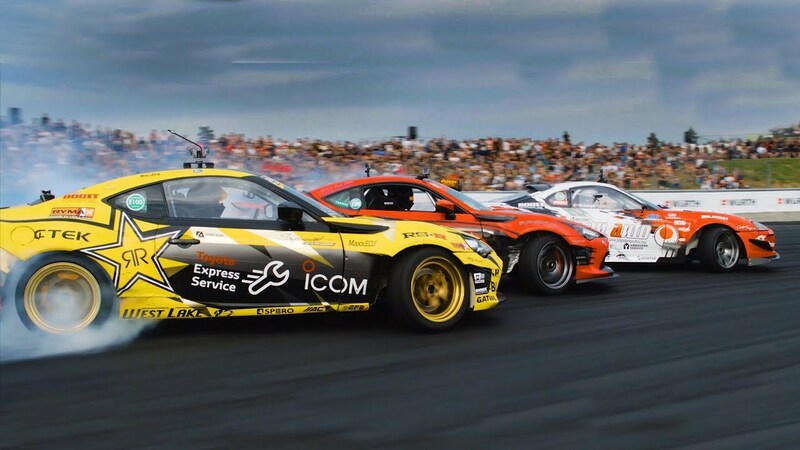 Some of you may of heard of Gatebil, basically one of Europe's largest car festivals. Held in Norway and Sweden over the northern hemisphere summer, this is one of the highlights for European car fans and especially those in northern Europe. Its an absolute mecca for any car enthusiast, last year they had over 40,000 attendants! No matter what your interest, drifting, stance, time attack, partying, It literally has everything. This video gives you a bit of an idea.. I have been lucky as I have been to almost every gatebil since 2014. I am from Australia but moved to Norway in 2015, since then I have been working with the festival and have gotten to know the people that manage it and also its unique fans! Every year I go people hear my Aussie accent and they always ask if I know Mighty Car Mods? And tell me that they have to visit Gatebil! I have promised so many people I would do my best to get them to come and this year I am holding true to my promise! Me and a few friends have teamed up to do all we can to try and get Moog, Marty, The Skid Factory and Mechanical Stig to Gatebil this year!! We have started up a gofundme campaign to get things started and to show both Gatebil and MCM that a lot of people really want this to happen. We are asking that all Norwegian and Swedish fans to share and please donate to this. We are not asking for much even €1 or 5kr, anything helps. A few days ago I had a meeting with the owner of Gatebil and put forward my case. They have agreed that if we get contact with MCM and they are free and interested to visit, they will pay for part of the costs for airfare, accommodation etc This was a huge win to our cause and our next step is to get contact with Marty and Moog. We are asking anyone that might be able to help our cause to comment here and get in touch, we understand that they busy but we really believe this is something they would love and a treat to the European fans of MCM!! Also to any Norwegian and Swedish fans please share our gofundme page on social media! By the way I love Norway, amazing country. Have you had contact with Marty and/or Moog about this? Not as yet, we have had contact with Turbo Yoda and Woody from the Skid Factory though. They have spoken to Marty about it and we are awaiting them to contact us.